- Select Option -68 SP Baby88 SP Boy118 SP Jr. The Shimano Suspending Waxwing Jig creates a walk-the-dog action under water. Twitch and pose, the lure kicks irregularly with a side-to-side motion. Fished the Blue Sardine this weekend for about 1 1/2 hours and got 5 Bluefish. They seemed to like it best after I paused the retrieve and twitched the rod. The side to side action looked great. Can't wait to try it on Stripers! Honestly, have not had a hook up with this particular purchase. But I bought more of these waxwings because on a trip to Belize last year the Tarpon and the Jacks pounced on the waxwings I already owned. 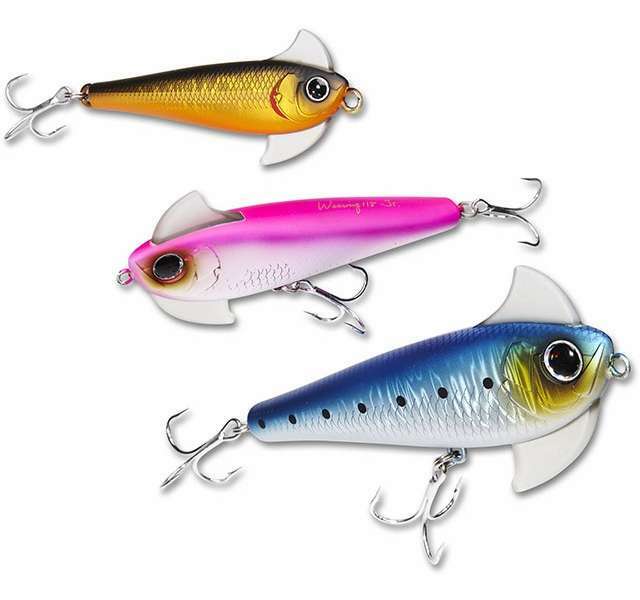 I have no doubt that if I can present these new lures I've just purchased to a Striper I will get bit. And I plan on trying the smaller ones on Bass in the spring when a fast lure can get hit. These lures are beautiful in the water. All you have to do is cast and retrieve. The waxwing design will do all the work for you. On and even retrieve at any speed they dart back and forth like a fleeing baitfish. Of course, you can vary your retrieve and jerk it but you don't have to and the slow sink so-called suspending models can be fished slowly. They do not truly suspend. Honestly, have not had a hook up with this particular purchase. But I bought more of these waxwings because on a trip to Belize last year the Tarpon and the Jacks pounced on the waxwings I already owned. 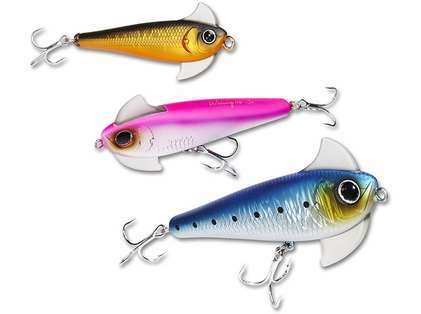 I have no doubt that if I can present these new lures I've just purchased to a Striper I will get bit. And I plan on trying the smaller ones on Bass in the spring when a fast lure can get hit. These lures are beautiful in the water. All you have to do is cast and retrieve. The waxwing design will do all the work for you. On an even retrieve at any speed, they dart back and forth like a fleeing baitfish. Of course, you can vary your retrieve and jerk it but you don't have to, and the slow sink so-called suspending models can be fished slowly. *They do not truly suspend. Prosdurability, action, price (given the quality of the lure), color/paint job. Consa freshwater truly suspending bait would be awesome. Swims exactly like in the promo videos, but i haven't caught any fish on it yet. I need to try it more in several conditions before i can really evaluate it. I have quite a few of the original wax wing lures from the baby to the daddy size in multiple colors and love them all. Recently found a suspending version and bought it without hesitation. Long story short I was disappointed after using it. You're forced to retrieve it super slow otherwise it will hydro plane. I hoped it would work at least a foot below the surface instead of an inch or two. For me this lure would be Useful in shallow conditions only. Awesome bait. Super easy to work. Just cast and reel. Great action and does suspend with fluorocarbon. I tried it on a reel spooled with mono and it slowly rise, but not fast enough to look unnatural. Erratically darts when you reel. No need to twitch the rod. Great for feeding frenzies or with the right line choice can be worked fairly slow with pauses in your retrieve. Hooks are decent, but definitely will be upgrading as they loose the point fairly quick. ProsEasy to retrieve. Casts far. Good action. ConsExpensive for a simple bait. Natural freshwater color choices are limited. Hooks loose point quickly. The "suspending" feature is truly awesome utilized with a twitch, reel, pause, repeat. We used this model jig in Costa Rica and had excellent results. It is an excellent bait for tuna fish species. I recommend with confidence. Lure swims with a kicking action, fun to cast. Your company is great to buy from. I have gotten items in the past for my grandson and everything was perfect. I just bought him 3 new lures and one of them the paint was chipped. He called and they are sending a new one with a return envelope for the damaged one. The order is on the way and he only called today. A Shimano sweatshirt that was out of stock was ordered by one of the employees for me and send directly to me. The staff and products are nothing but great. I remember One day we were out and the Bluefin weren't interested in any lure, skirt or even live bait larger than 3 inches? We were wondering why until we opened up one we had caught and it was full of little 2 inch saltwater baitfish. As we only had about 2 xtra sml lures we tried cutting a few skirts shorter but all that done was ruin a few good lures. 20 of them were released, These lures are always on standby in case of bait sizes being different or the fish just not wanting a larger lure. They are a very useful lure indeed. What are the hooks and how many are there on the Junior suspending waxwing? There are two treble hooks on that lure. They appear to be 1/0 or 1 in size. Shimano's response is... they are VMC treble hooks and on the junior (4.6"/1.25oz) they are size 2 (2/0). id like one of each size of this waxwing shipped, when will u have them available to ship? Hello Philip. 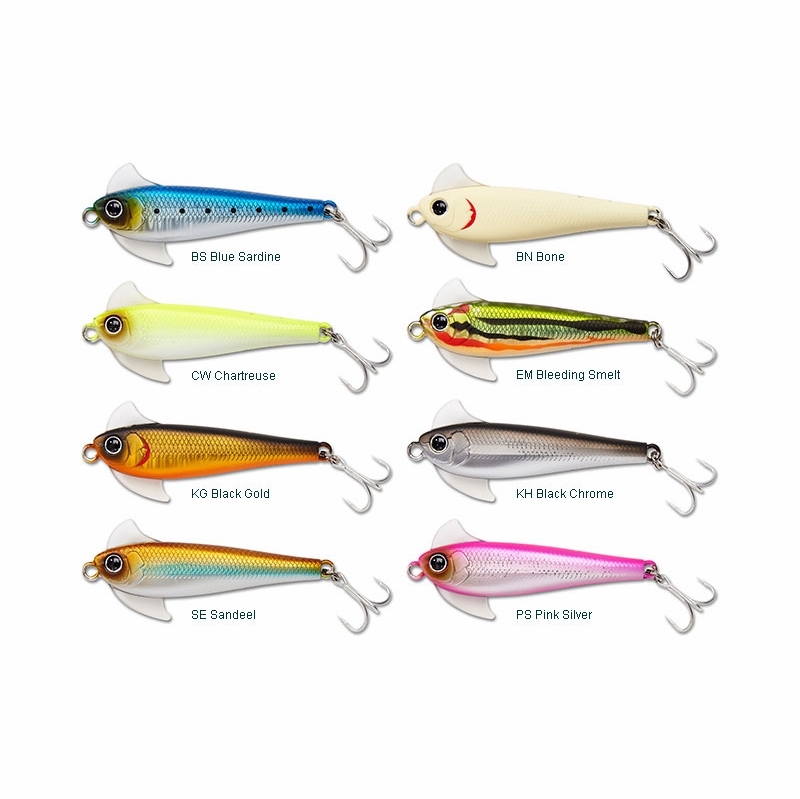 We are expecting a shipment of these jigs in early December. Please keep an eye on our site as they may arrive sooner and as always please feel free to contact us at any time if you have any questions!